SAP S/4HANA and SAP BW/4HANA: What to Do Where? With the launch of the SAP S/4HANA Releases 1608/1610 and following, the use-cases for analytics have changed dramatically. The used technology has shifted and the positioning with other specialized analytical solutions had to be adapted. What happened? In SAP S/4HANA the split of reporting and transactions has been closed and new hybrid, built-in applications became possible. For example transactions for purchasing now give contextualized real-time information to make the best supplier decision. Not enough, recently these use-cases are enhanced with predictive and machine learning capabilities, providing intelligent decision support. Higher transparency, accuracy and predictability allow decision making at higher efficiency and quality. Moreover, with the availability of personalized Key Performance Indicator (KPI) information already on the SAP Fiori Launchpad, the individual user gets latest information about the business and the details behind this in configurable and personalizable drill downs or preconfigured applications. 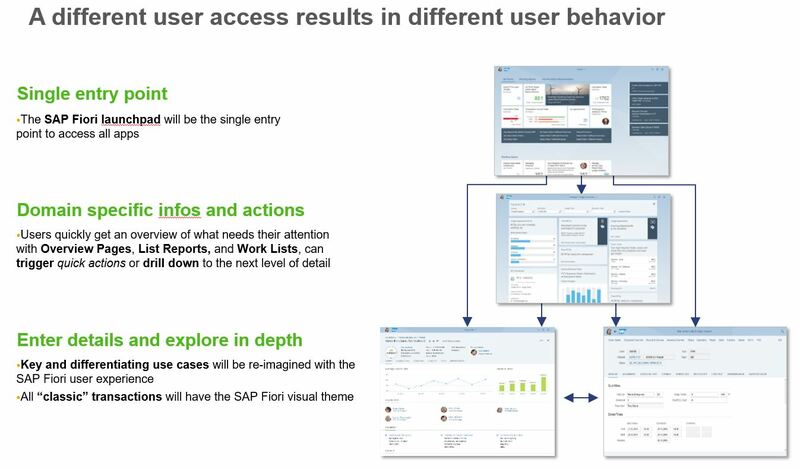 SAP Fiori Smart Templates like the Overview Pages come with preselected dashboard-style information to round up the view of the Business User and the areas she or he can influence this. Color-coded KPI tiles point on those areas which require immediate action, leading to drill-downs into the KPI details and eventually to either classic or hybrid transactions to execute the necessary changes. The latter can make use of so-called SAP Fiori Analytical List Pages which combine KPIs, related reporting data to pick and choose the data set a transaction should be processed with AND to the transaction step itself. This includes simulations of data and function executions to post the data as well. Picture 1: Three simple steps from KPI to active transactional processing. Picture 2: Example for a new standard hybrid transaction: SAP Fiori Analytical List Page “Event-Based Revenue Recognition”. So the provocative question is: What is the purpose of SAP Business Warehouse (SAP BW), SAP’s latest innovation platform SAP Business Warehouse for SAP HANA (SAP BW/4HANA) or Data Warehousing in general? Is it still necessary? In my last blog I have been proposing that The end of SAP Business Warehouse in the context of SAP S/4HANA is not in sight! This statement does not change. Data Warehousing and Embedded Analytics are serving very different use-cases. And the fact that SAP BW/4HANA is SAP’s standard solution for Enterprise Data Warehousing in the context of (SAP’s next generation ERP) SAP S/4HANA has not changed. At the end of the 1990’s, SAP BW was used as a reporting engine for all matters including the operational reporting piece. With the power of SAP HANA as a database and the usage of ABAP-based Core Data Services technology the positioning has changed and an integration is very well possible, too (see also Ulrich Christ’s blog on ABAP CDS in SAP BW, or Matthias Kretschmer’s blog Unified Solution – SAP S/4HANA Embedded Analytics & SAP Business Warehouse powered by SAP HANA!). Just for completion: SAP’s Native SQL Data Warehousing using SAP HANA solution completes the picture, being a very useful extension of the existing SAP BW/4HANA EDW use-case. With the introduction of SAP BW/4HANA, SAP strengthens this message, introducing a new solution, highly optimized for SAP HANA, open to any data source, serving as the new standard for EDW and as a great Big Data hub. 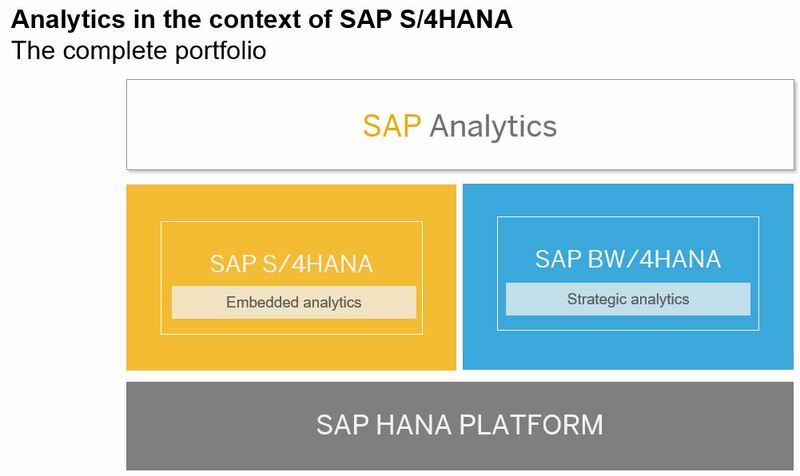 So the portfolio is rounded up with SAP HANA being the common platform, SAP S/4HANA serving embedded analytics and SAP BW/4HANA serving as the Platform and application for Strategic Analytics. Overarched by SAP Analytics Solutions which serve as the perfect fit for (not only) visualizing all data sources providing strong Business Intelligence capabilities. The central use-case is the combination of analytical and transactional elements of a process in the environment of one SAP S/4HANA system. The data is operational, the availability real-time. The virtual character of the data model allows lightweight modeling with immediate reflection of structural changes due to the lack of persisted data. The models are extensible and easy reusable in different scenarios and allow the interoperability with pure transactional developments. As an Enterprise Data Warehouse (EDW), SAP BW/4HANA consolidates data across the entire enterprise using a standardized but fully extensible data model, to support decision making. By defining common semantics, all data values get harmonized and the result is a ‘single version of truth’. To provide this, a single, comprehensive source of current and historical information needs to be established which implicates a redundant (aggregated and harmonized) persistence of data. By mixing the use cases for Embedded and Strategic Analytics, the full range of either real-time and fine granular data to high level and multiple source data can be realized. Both concepts of Enterprise Data Warehousing and real-time analytics can be merged, reports and analyses being mashed up and visualized in a single report, dashboard or other type of visualization. Making use of the integration capabilities of SAP BW/4HANA, enabled by the virtualization functionality, real-time operational data can be directly merged and visualized using SAP BW/4HANA standard tools and functionality. This way a combination of embedded analytics and EDW cases and data can be created by an accelerated inclusion of SAP S/4HANA data into SAP BW/4HANA. By leveraging SAP BW/4HANA you can natively integrate the models and data in SAP S/4HANA embedded analytics with those of an EDW, e.g. to compare real-time actuals with historical snapshots, planning results (from SAP Business Planning and Consolidation, SAP BPC), or external data. To see how this is established, refer to the following blogs: Unified Solution, ABAP CDS in SAP BW and How-to-Guide for further details. SAP BW/4HANA is the innovation platform for EDW, although integration is also already possible with SAP Business Warehouse powered by SAP HANA. All new enhancements regarding the integration of SAP S/4HANA and SAP BW are planned to be implemented in SAP BW/4HANA only. Possible integration enhancements currently discussed span from using ABAP-CDS for extraction, related content up to semi-automated integration and automatic data model setup. While the last point is rather vague yet, there is a roadmap for the standardized data transfer using ABAP CDS. New extraction models are getting created, using Core Data Services (CDS for full and delta extraction) to also achieve meta data consistency (content planned to be released for SAP S/4HANA Cloud in 2018, for custom implementations for on-premise look at this HOW TO guide). One big reason to trigger this development was the missing availability in SAP S/4HANA Cloud to use ABAP for use and extensibility of the extraction data models. For limitations on S-API DataSources (Extractors) in S/4HANA see SAP Note 2500202. For release of extractors for ODP see SAP Note 2232584 ‘Release SAP Extractors for Operational Data Provisioning’ (btw. more than 95% are released). The roadmap is currently (Summer 2018) stating that with release 1808 we will get the availability of the framework, with 1811 we will get the first wave of SAP-delivered Extractors and the first version of Key User Tools for Extensibility, followed in the following releases with a continuously adding more SAP-delivered Extractors, the possibility to extract Custom Business Objects and more options to create own extractors with Key User Tools. What about Embedded BW in SAP S/4HANA? Since the release of SAP NetWeaver 7.0, SAP ERP systems automatically include SAP BW. The SAP BW technology that exists inside such an ERP system is called ‘Embedded BW’. This embedded functionality is used to support certain business processes in the SAP Business Suite and in SAP S/4HANA, e.g. 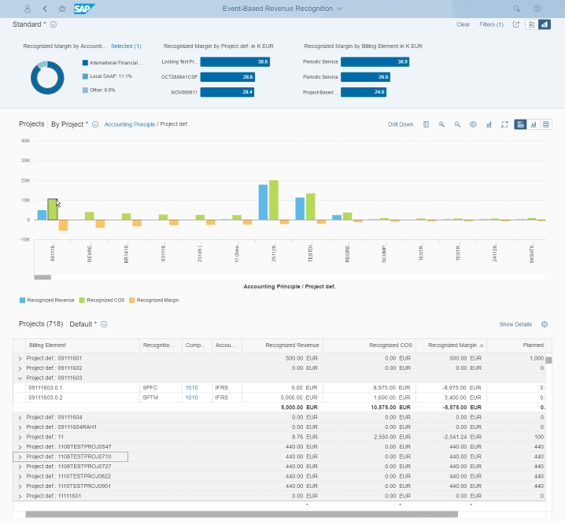 integrated financial planning processes in SAP S/4HANA (aka. BPC Optimized). To be absolutely clear: the “Embedded BW” is not recommended for building an Enterprise Data Warehouse, considering multiple SAP Applications on SAP HANA in productive environments (see in the SAP Community blog and in SAP note 1661202). It is common best practice to keep the amount of data persisted in the Embedded BW not to exceed 20% of the overall data volume of the system. 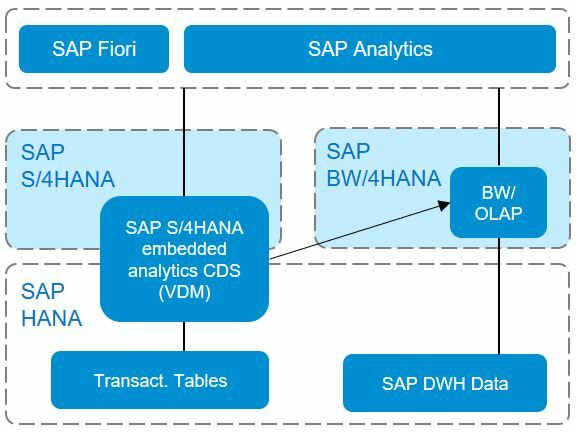 But in selected small use-cases, the functionality of the “Embedded BW” can help to extend the range of SAP S/4HANA embedded analytics. The version of BW used in the embedded scenario in an SAP S/4HANA system is SAP BW 7.5 (aka. 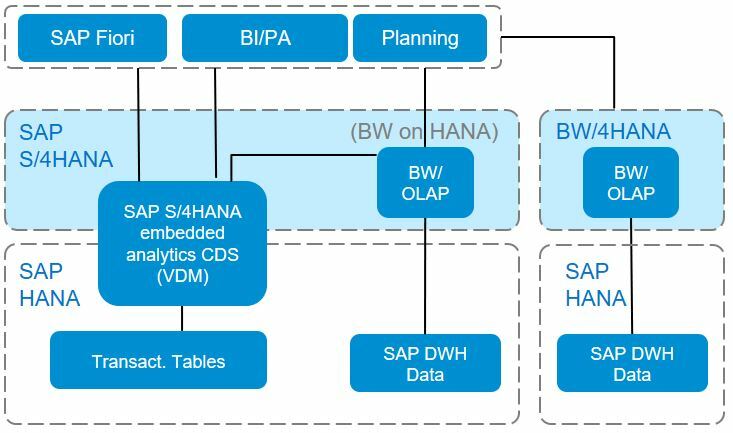 “BW on HANA”) – Although it is a different codeline than the SAP BW/4HANA (and there are currently no plans to change this approach), it receives selected features from it, in particular the pushdown of certain calculations to the SAP HANA database, thus significantly improving performance of embedded analytics. We recently see that with the following NetWeaver Innovation Releases, the embedded SAP BW is not “officially” supported. The analytical engine however will not be affected by this current movement, for reasons like the one that it represents the standard interface to SAP Analytics (incl. SAP Analytics Cloud). As depicted, SAP S/4HANA has changed the paradigms of Analytics in SAP’s ERP world drastically. With the functionality of SAP S/4HANA embedded analytics, it’s virtual data models, tools to consume data and to enhance the structures, it allows to either report on operational data real-time. It is also possible to run Analytics inside of Transactions and integrate Predictive and Machine Learning capabilities. SAP BW/4HANA is SAP‘s strategic solution for Enterprise Data Warehousing (EDW) in the context of SAP S/4HANA. With the existence of analytical functionality like SAP S/4HANA embedded analytics, this does not mean that the use case of an EDW is redundant! For those environments where only local data is needed and operational reporting is sufficient, this might be true but in any case where data from multiple sides needs to be collected, merged and harmonized, the existence of a new data persistency and functionality to facilitate this, is required. Both solutions, SAP S/4HANA and SAP BW/4HANA complement each other and can be fully integrated, to realize a combination of embedded analytics and EDW use cases. Nice blog, clear explanation of BW4 and S4 , and their coexistence. Thanks! Good blog! Thanks for sharing! I have the following doubt, is it now possible to integrate (inside) a single card/tile in Fiori, a custom app (fiori) and a BO report (4.2 / SP4) ?. I am not aware of this capability and would doubt this. BW/4 HANA or S/4HANA Embedded Analytics –> This has been a discussion topic everywhere..
Great Blog – looking forward to discuess this @ TechEd in Barcelona! whether POSDM/PIPE can be used on the Embedded S/4HANA BW scenario. I am not familiar with POSDM in particular but if it runs on a BW 7.5 it is possible in an embedded BW. Whether it is recommended, useful etc. I cannot judge. Please elaborate. Thanks for the clear blog. I can use SDI/SDA and smart data quality to connect to different different sources and get virtual data as well as persistenet data into S/4 hana or any native HANA system. first of, sorry for the late reply! Second: We are currently not pushing SDA/SDI integration of the SQL views of our SAP S/4HANA embedded analytics data model to ANYWHERE (actually note 2511210 would describe even a hard restriction, see also “Zugriffe auf von ABAP verwaltete Datenbankobjekte“). Why: because the data you would read from these SQL statements is incomplete and cannot be interpreted. Third: We are planning to make an exception for SAP BW here. Why: because this is the only solution we are shipping Business Content which helps interpreting the objects. And this makes this BW system (SAP BW/4HANA) so unique for SAP S/4HANA. I am very interested in this sap bw / 4 hana. I want to learn sap bw / 4 hana to join sap company ? hope you were able to already find material. Sorry, I am very rerely checking my blog. You will also find lot’s of hints for further learning. My only question is what is the use of persisting data in a world where we could always simply use OPEN DSO with current data ( off of a CDS for instance ) and if we need to persist could we not just dump everything in a ( HADOOP like env ) and bring it back into HANA via SDA when we need it . My question is can we get rid of the Process Chains ultimetly so my guys can sleep they 8 hours a day and on the Weekends … 🙂 Hail Queen HANA! in general you are right, this would be the ideal world. Unfortunately we currently still see data structures and complexity which makes it impossible to reduce the EDW tasks to only streaming events from a performance point of view. So again, theory, and this way the fulfillment of Hasso’s vision of a core nucleus meeting reality shows the current gaps. Besides the fact that Hadoop is already a downgoing concept and other technologies getting in the lead, the data retrieval in a selective way from such data lake clusters is not the best with regards to performance. My conclusion is that the long term vision of a unique and only Big Data Warehouse (which you are describing) is the ultimate goal. However it will take time. thank you very much for your nice and revealing blog. I do have a question about “Embedded BW in SAP S/4HANA”. How does an NW 7.5 based installation technically fit to an S/4 HANA system? And even more important, how does the use of “Embedded BW (NW 7.5)” in S/4 HANA fit to the strategy, that the support of NetWeaver will end up in 2025? Is there a strategic statement of the SAP supporting “Embedded BW” in a S/4 HANA System? this is in fact an important question! We see that with the following NW Innovation Releases, the embedded SAP BW is not “officially” supported. The analytical engine, I do see relevant in multiple places, not only embedded analytics, which will remain also as the standard interface to SAP Analytics (incl. SAP Analytics Cloud). Besides this, embedded SAP BW in fact does not look relevant for future releases of SAP S/4HANA after 2015 and even now, not really in the focus of SAP S/4HANA. However, I am currently discussing this with my colleagues in development, whether this is the final direction and how we can communicate all of this. I am at least convinced for now that the existing functionality will work the same way as it is working now. The strategic future of planning and SAP S/4HANA Cloud for sure is SAP Analytics Cloud, the timelines are tough here, so I am curious what is going to happen… That said, the conclusion might be that this will affect planning in SAP S/4HANA on-premise systems as well. Until 2025 I would consider the situation as stabile and I am also positive that this stability will remain afterwards. Innovation already takes place elsewhere (SAP BW/4HANA) and we should direct our customers in this direction. I am redoing the blog, so hope I can get a better idea how to work with embedded BW concerning your doubts.